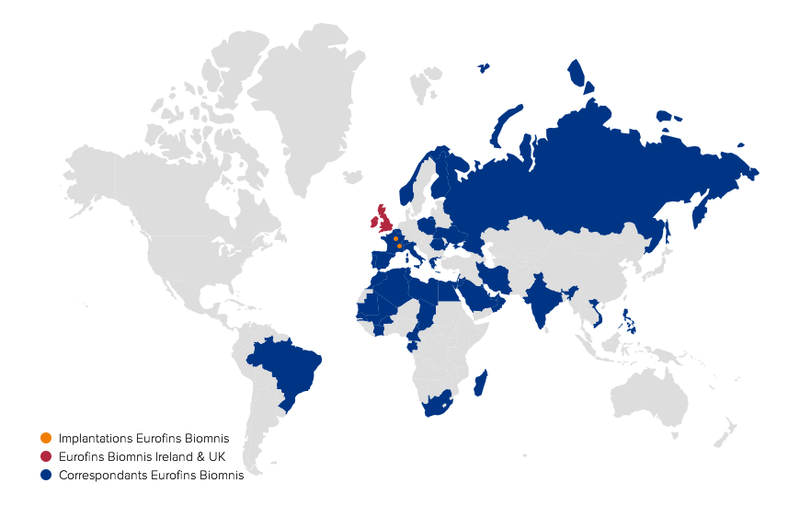 Eurofins Biomnis serves hospitals, medical centres, public and private laboratories, pharmaceutical companies and clinical trial centres on a global scale and is particularly well established in the Middle-East, Europe and Asia. The International Division of Eurofins Biomnis is organised in such a way as to optimise and ensure the best service levels to our International clients. It provides a remote and highly responsive customer support through a single point of contact for each client and will cater for all of your patient’s requirements including: preanalytical advice, local, technical and logistical support as and when required, test information and post-analytical provision of clinical advice, through Eurofins Biomnis’ network of 45 expert clinical pathologists. Hello, I invite you to consult the site www.biomnis.com, on page International Presence https://www.eurofins-biomnis.com/en/biomnis/international-presence/ Best regards.